This ride will be self-guided tour open to street legal Dual-Sport & ADV motorcycles. Starting in Banning, the route will consist of jeep and fire roads, OHV roads, 4WD trails and easy-to- challenging single track. Both easy way and hard way loops are available to challenge riders of all levels. Mileage will vary from 75 to 125 miles depending on whether all loops are ridden. 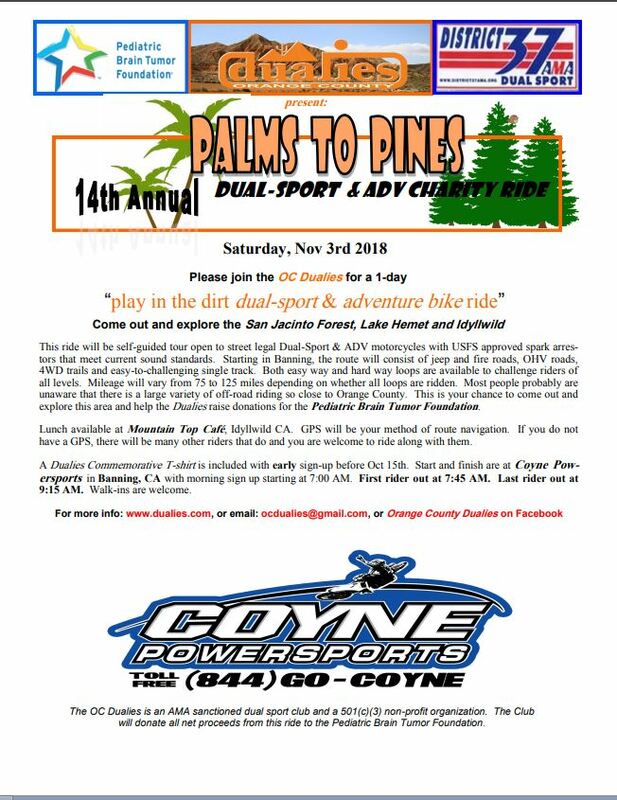 Most people probably are unaware that there is a large variety of off-road riding so close to Orange County. 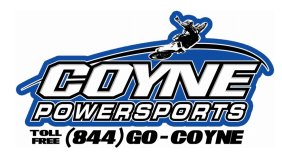 COYNE POWERSPORTS will be your Start and Finish. Morning signups start at 7:00 AM. First Rider out at 7:45 AM. Last Rider out at 9:15 AM. GPS will be the navigation method for your route. Self Service lunch and gas will be located at Mountain Top Cafe.